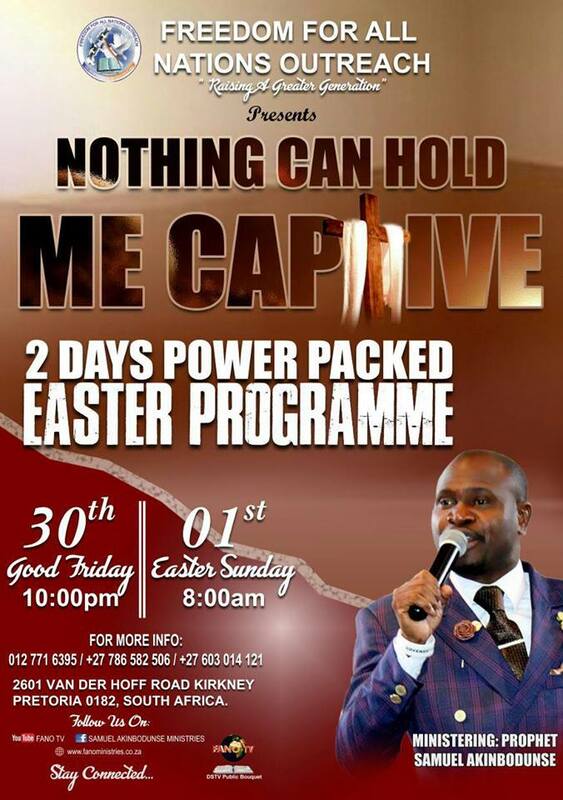 Prophet Samuel Akinbodunse’s Freedom For All Nations Outreach (FANO), South Africa in this season of Easter has rolled out a two-day power packed programme for the members and the entire citizen of South Africa. 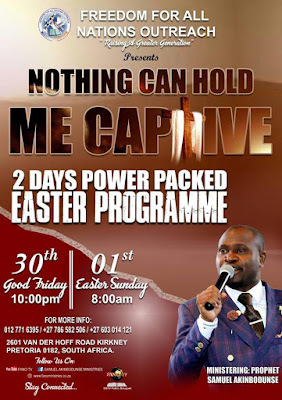 It promises to be a great time in God’s presence, judging by the theme alone ‘ No one can hold me Captive’’, coupled with the fact that Easter is a season where Jesus Christ overcomed death by not being held captive in the tomb. He died on a Friday which is the Good Friday and resurrected on Sunday. 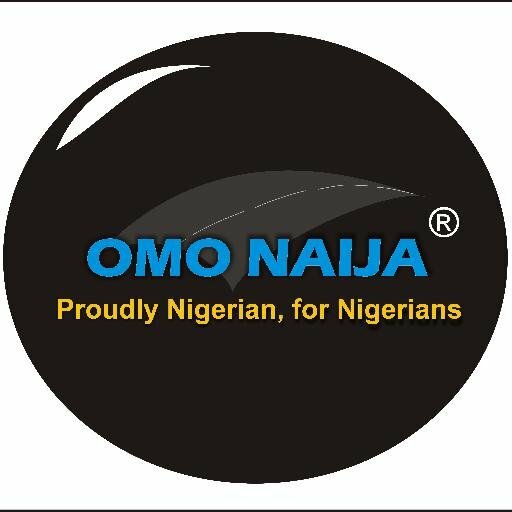 This programme will be taking place on Friday, March 30 and Sunday, April 1st, 2018. It’s definitely not a programme to miss, it will be a time to also demonstrate God’s power in our lives.